Image courtesy of Shannon Brewing Co.
Perhaps as a hint to Mother Nature to bring on some cooler weather, Shannon Brewing Co. will look to get an early start on winter with the release of its Wee Heavy (8.5% ABV, 27 IBU) on November 6. 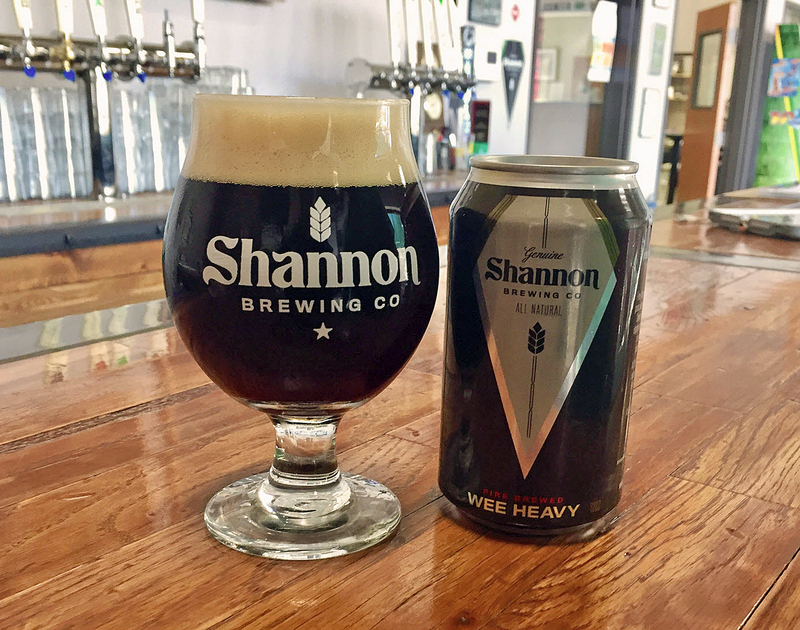 First debuting as a limited edition during American Craft Beer week in May, Shannon Wee Heavy will now be a winter seasonal for the two year-old brewery. And, as was the case for Honey Porter, Shannon's fall seasonal, Wee Heavy will be available on draft throughout the Metroplex, with cans being sold only at the brewery. Characterized as "rich, full-bodied and slightly sweet," Shannon Wee Heavy is designed to be malt-forward, with hints of caramel and baked fruit, balanced by a slight noble hop aroma. It's also said to be "surprisingly easy to drink, with a subtle peat character and an enjoyable alcohol warmth." Launch parties for Shannon Wee Heavy are scheduled to occur at various North Texas locations over the next two weeks, the details of which are provided below. Oak St. Draft House, Denton - 7 p.m. - Tap Takeover and Wee Heavy launch party. Taverna Rossa, Plano - 6 p.m. - Special tapping featuring Shannon Wee Heavy and Shannon Hazelnut Chocolate Stout. Old Chicago, Ft. Worth - 6:30 p.m. - Tap Takeover and Wee Heavy launch party, with glassware and t-shirt giveaways while supplies last.